You can read all about the gallery and what my aim was in putting it together by following that link, but as well as introducing the permanent page, I just wanted to make a few additional comments and fill in some of the background here on the main blog. As with the recently established Patricia Highsmith First Edition Book Cover Gallery, this one took me by surprise somewhat. 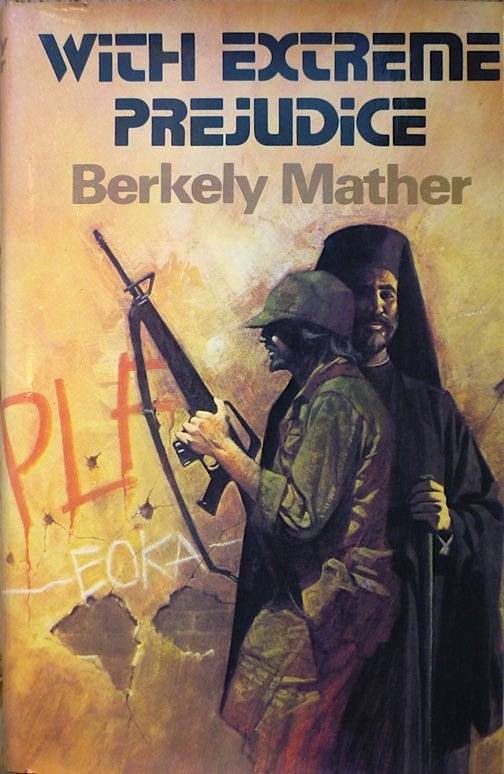 The idea only really came to me last week, when I was posting those Elmore Leonard '70s dust jackets. Those, and Graham Miller's wrapper for the 1974 Heinemann edition of Patricia Highsmith's Ripley's Game – Miller also having provided the cover photos for two of those Leonard books – plus a subsequent exchange with Andrew Nette of the excellent Pulp Curry on Twitter, got me thinking: perhaps there might be some mileage, a la my Beautiful British Book Jacket Design of the 1950s and 1960s page, in a gallery devoted to 1970s thriller book covers, especially British ones. The more I thought about it, the more it seemed like it could work. I certainly had enough of those kinds of books to assemble such a thing, a lot of them already photographed, the images appearing elsewhere on Existential Ennui. But limiting it to just the '70s didn't feel quite right. 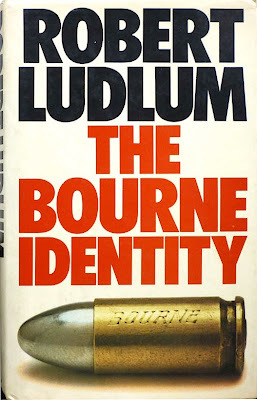 After all, the bold, brutalist, largely – but not exclusively – photographic style of 1970s British thriller book cover design was still prevalent in the 1980s – and there was the added impetus that presenting two decades rather than one would mirror the original Existential Ennui gallery, the aforementioned Beautiful British Book Jacket Design of the 1950s and 1960s. 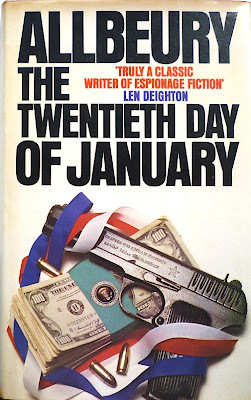 Once I'd settled on showcasing the '80s as well as the '70s, and elected to limit the selection to the covers of thrillers, suspense novels, crime and spy fiction published in the UK – which is what my book collection essentially consists of – it all fell into place remarkably swiftly and easily. 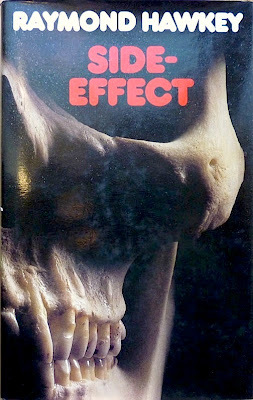 And so now British Thriller Book Cover Design of the 1970s and 1980s is, for better or worse, a reality. At last, here is a permanent home –accessible via the link at the top of Existential Ennui's sidebar (although it may at some point move under the masthead) – for all those brilliantly blunt, sometimes bloody awful Beverley le Barrow covers I've been banging on about for ages; for those stray '70s and '80s thrillers I've collected over the last few years and have never quite known what to do with; as well as for covers for novels from the '70s and '80s by some of my favourite authors: Elmore Leonard, Patricia Highsmith, Ross Thomas, Donald E. Westlake, Gavin Lyall, Anthony Price, Geoffrey Household and others. 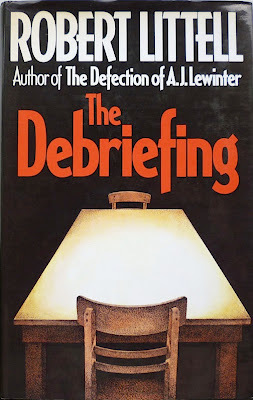 Alongside those authors you'll find a couple of dozen more besides, over forty in total, represented by over 90 dust jackets and paperback covers (yes, paperback covers: there's no format snobbery in this gallery). Many have appeared elsewhere on Existential Ennui. Some, like Robert Ludlum's Bourne books, I've rephotographed especially for the page. 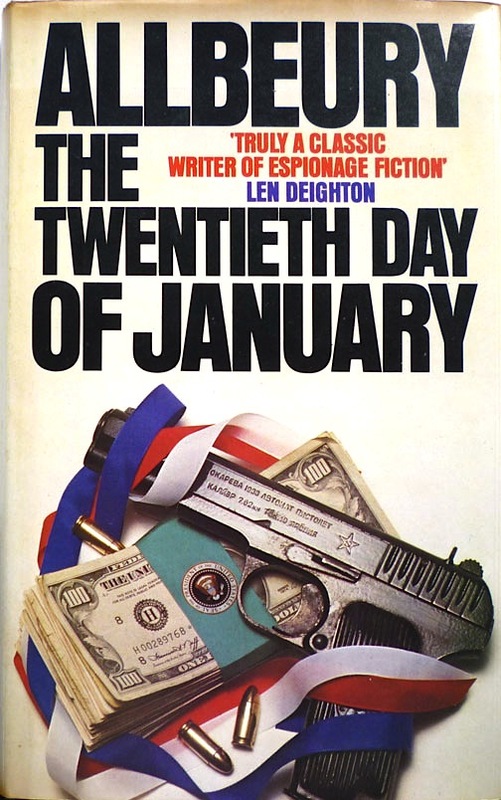 Others are making their Existential Ennui debut, such as some of those illustrating this post: Jon Knights' classic Ipcress File-style arrangement for the 1980 Granada first edition of Ted Allbeury's The Twentieth Day of January; Jeremy Ford's stark illustration for the 1979 Hutchinson edition of Robert Littell's The Debriefing and Barry Glyn's realist one for the 1975 Collins first of Berkely Mather's With Extreme Prejudice (purchased just the other day for a pound in a Lewes charity shop); and of course the wrapper for the 1979 Cape edition of Raymond Hawkey's Side-Effect, designed by the man who bears more responsibility for the look of British thriller covers in the '70s and '80s than any other: Raymond Hawkey. And I'm not done yet. Over the coming weeks I'll be adding loads more covers to the page, starting next week with a bunch of covers wrapping books by perhaps Existential Ennui's most enduring abiding concern. Such amazing resources. I really appreciate the time you put into this. An excellent idea. How many would you like from my collection? These pages are amazing. I, too, appreciate all the work you put into these creations. 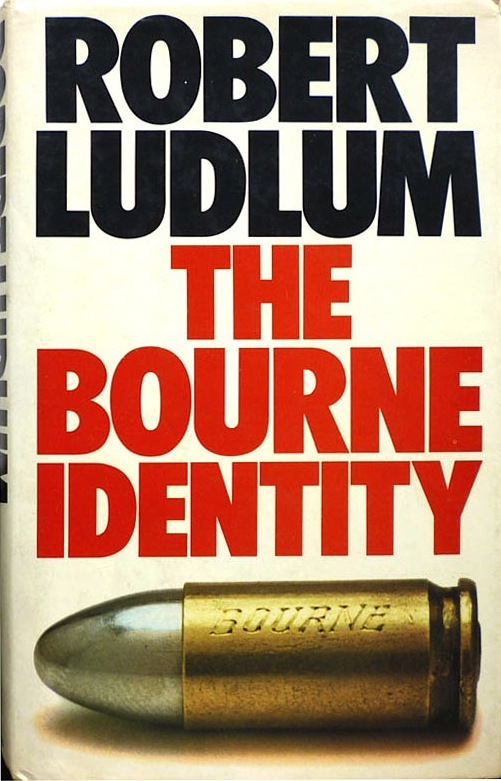 Side Note: The engraved bullet on the cover of The Bourne Identity - after my crazy Uncle Art died we found a collection of engraved bullets with the names of all the family members against whom he held a grudge. Sadly, no one saved the bullets. Years later, I came into a footstool he built and discovered it had a false bottom which concealed the two handguns for which the bullets had been made. Good Lord. Crazy Uncle Art sounds amazing – if a bit potentially murderous. Thanks for the words of appreciation all. And Mike, I'll let you know!